Post Specific Related Information: Before you apply for this campaign, please read the job specification, application form and additional campaign information which can be found below. Location: This recruitment campaign is being run to create a national panel for Student Paramedic. This panel will be used to fill training places for Student Paramedic in the HSE National Ambulance Service on the Paramedic Training Programme. Informal Enquiries: Please ensure you download, save and read the Job Specification and Additional Campaign Information as well the Application Form. All of these documents are located at the bottom of this advertisement. We strongly recommend that you read the Job Specification and Additional Campaign Information in full before completing your application form. You should also save a copy of both documents for future reference. They contain full details on this campaign plus the answers to many queries such as: Am I eligible to apply? What happens to existing panels? Where are the posts? When are the interviews? How do I apply? What do I need to do? What do I need to consider now? What is the salary scale? If I apply what happens next? Take time to read through the various sections in both documents, which take you through the process from beginning to end. Main Responsibilities: Be the point of contact between the executives and company employees/clients and manage information flow, Manage executives’ diaries and arrange their daily schedule (set up meetings, travel, speaking engagements), Oversee the performance of other clerical and administrative staff, Act as an office manager by keeping up with office supply inventory, Format information for internal and external communication – memos, emails, presentations, reports, Devise and maintain office filing system. Requirements: Proven working experience as an executive assistant, Excellent MS Office knowledge and English proficiency, Outstanding organisational and time management skills, Acquainted with office management systems and procedures, Excellent verbal and written communications skills, Discretion and confidentiality. 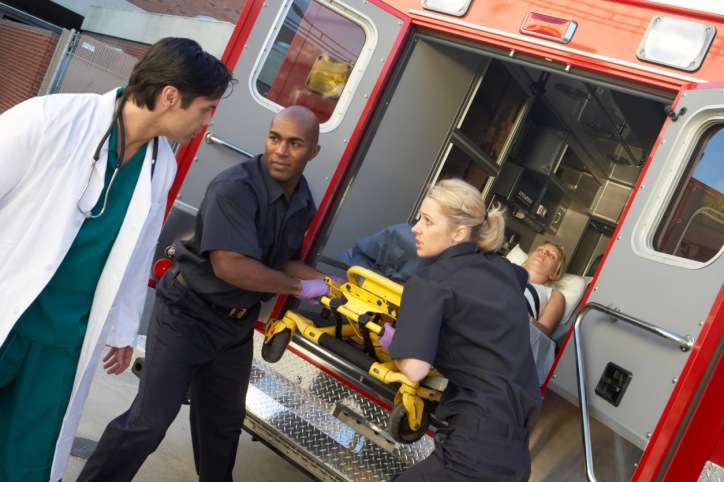 As an Emergency Medical Responder (EMR), you will be a patient advocate who will effectively communicate and interact with community partners and allied healthcare professionals to ensure safe and proficient patient care and transportation. To fulfill your responsibilities you will safely operate emergency vehicles, respond to medical and traumatic emergencies and inter-facility transport requests while adhering to professional standards, medical control protocols, standard operating procedures, polices and directives. This posting will be used to fill multiple vacancies. As an Emergency Medical Responder (EMR), you will transport ill or injured patients from scenes of emergency and/or between facilities. This includes operating ambulances or other modes of transportation; assessing emergency scenes and patients; providing simple treatments and completing required documentation including patient care reports. Alberta Health Services EMS requires the proof of the successful completion of the Functional Abilities Recruitment Evaluation (F.A.R.E.) test via the certificate provided by the Lifemark organization for all applicants external to AHS or internal to AHS, who do not already hold a clinical position within AHS EMS (VESST, Clinical Educator, EMR, PCP, ACP and Community Paramedic). Your F.A.R.E. test must be completed within 6 months of the date of your application. Alberta Health Services EMS may verify results with Lifemark to ensure the candidate has successfully completed the test. Please contact Lifemark at www.lifemark.ca/alberta-health-services to find more information on the F.A.R.E. test and how to book your evaluation. You will assist with ensuring that ambulances or other Emergency Medical Services (EMS) vehicles, such as transfer vans, are properly stocked and equipped. An exciting opportunity has arisen for an individual to join our friendly supportive team of Nurse and paramedic practitioners. We are a two-hospital site trust, and the successful candidate will have the opportunity to work in the emergency departments and acute medical units on both sites, in a department trust that sees in excess of 170,000 patients per annum. This role has been established within the department for almost two years and you will be joining a team of 8 other well established and enthusiastic tACP’s or Emergency Department Practitioners, ensuring the safe, efficient and timely flow of patients through both Emergency departments (ED) and Ambulatory emergency medicine clinics (AEC). In addition to our strong nursing team, we have an excellent senior medical team that work closely with us in providing a patient-centred service. The role of trainee ACP involves a programme of academic and work-placed based education, culminating in credentialing as an ACP with the royal college of emergency medicine (RCEM). You will be expected and supported to complete a minimum of a Postgraduate Diploma in advanced clinical practice and will be enrolled on the MSc Advanced Clinical Practitioner course at one of our partner universities, undertaking a range of clinically-focused modules in line with the requirements for the role, including independent prescribing (if not already held). You will be allocated and supported by an ED consultant mentor through your RCEM e-portfolio and be expected to attend study days including ALS, regular teaching sessions within the department and regional ACP events. Each practitioner will have a flexible personal development pathway enabling them to safely extend their scope of practice within the emergency department. As either an experienced Nurse Practitioner or Paramedic Practitioner, with at least 2 years’ experience in a band 6 post or above and advanced assessment skills, the post holder will be responsible for the assessment of care needs and developing, implementing and evaluating complex programmes of care within the acute and emergency care setting. The post holder will be viewed as an autonomous practitioner and will be fully responsible for managing their own caseload and assessing, treating, referring and discharging those patients in their care, with support where required. We welcome applications from trainee ACPs who are already working towards credentialing with the RCEM and hold an NHS e-portfolio. Following completion of RCEM Credentialing, the tACP would be able to apply for qualified ACP posts as they arise. -Assists in lifting & carrying patients to & from ambulance -Responsible for ensuring the availability of emergency drugs of all specialties and see that crash cart is always equipped with the necessary items.